“collects audiences Yi Ligao the company” the management many kinds of high performance polyurethane and the epoxy resin, uses in the protection circuit and the primary device; Simultaneously develops the resin new variety unceasingly, satisfies the customer the need. The resin system is the design uses for to insulate and to protect the electronic part, causes the electronic part to be possible to be exempt from each kind of harsh environmental condition the influence - moisture, the vibration, the thermal shock or the mechanical shock, as well as the common pollutant. The resin can form the harm which the complete film resistance environment possibly creates, and causes the part thorough insulation, guaranteed that the part under the violent working condition, is stabler than the painting conformal coating's part work. regarding carries on the thermofixation the spot - - like electric cable scene joint or the insulation operation, the outdoors hermetically sealed cable pipeline, the installment road surface sensor and many electronic, electrical equipment's seal and fills the attire, the use resin is inconveniently one kind forms the hard polymerization material the side good method. “collects audiences Yi Ligao the company” the majority of resin product is composed of two kind of liquids: The resin and the firming agent, these two kind of liquids according to the appropriate proportion mix, respond the production solid. After the careful configuration, the solidification resin's performance may satisfy the individual user the specific request, including degree of hardness, flexible, insulation strength, thermally conductive, heat resistant scope and so on. “collects audiences Yi Ligao the company” may change various components the performance, and time solidification condition. Other performance, like viscosity and color and so on, may also adjust. the resin system may display for each condition, from flinty, tenacious material quality, to rubber, even soft, from repairs easily to remove the gelatin. 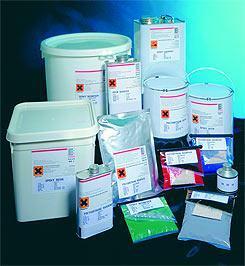 in the electronics industry the most universal use's two kind of resins is the epoxy resin and the polyurethane resin. These two kind of resins [collect audiences Yi Ligao the company] to have the management sale. “collects audiences Yi Ligao the company” the resin product's packing design makes every effort to be simple, to be economical, is suitable for each application method and the productivity. resin package--Is suitable constructs in the small batch production/prototype project/precoating in this kind of packing including the appropriate proportion resin and the firming agent, installs separately in the bag, dismantable gibs by one separates. When use except gibs, two kind of liquids must in the seal bag the intensive mixing, after mix end of process, cuts sack's one jiao, then uses. The resin bag may make each kind of size. the resin coverall - is suitable in has/the non-automatic equipment's/large scale production. resin and firming agent according to appropriate proportion subpackage in two jars. In the resin pot has reserved the enough space, will prepare later joins the firming agent, will make the intensive mixing, in order to avoid user to obtain the appropriate proportion, but can not but carry on the weighing. big packing--Is suitable resin and the firming agent places in separately the different vessel in automatic equipment's large scale production the . Two materials must defer to the correct proportion to carry on the mix, should better use the appropriate mix partitioning device. If does not have the equipment, then must the precise weighing two kind of component quantities. [“collects audiences Yi Ligao the company” may provide each use the standard resin product.if the standard resin product cannot satisfy the specific user the demand, “collects audiences Yi Ligao the company” will cooperate together with the user, in order to make to order the specific parameter for the customer quantity body the product. Once after determining may use, may according to user's production environment provide the appropriate packing.